Many of the works of art are being exhibited together for the first time thanks to the joint partnership with the Aga Khan and 7 other major public and private institutions including the Royal Ontario Museum, Toronto; the Museum of Islamic Art, Berlin; the Vorderasiatisches Museum, Berlin; the Louvre, Paris; the Metropolitan Museum of Art, New York; the Atassi Foundation, Dubai; and the Marshall and Marilyn R. Wolf Collection, Toronto. The collaboration of institutions from around the world will provide a wealth of insight into the country’s unique and dynamic past and gives hope for the future. The exhibition will feature glass, stone, ceramic, and metal artifacts, as well as contemporary art such as paintings and sculptures from the 19th century and beyond, which showcase the artistry and diversity of Syrian civilizations. 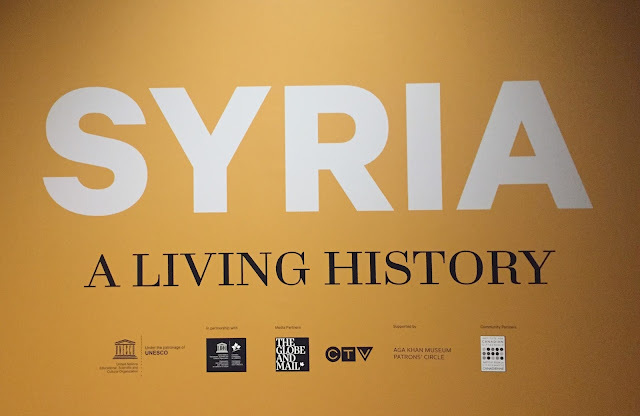 “We hope that a better appreciation of Syria's priceless contributions to the world's heritage over five millennia will add urgency to the efforts to bring about peace and reconciliation in that country," says Aha Khan Museum Director and CEO, Henry Kim. " The sheer variety of these artifacts and their culture breadth reveal Syria's long and rich history of multiculturalism and how essential that diversity was to the development of so many of the world's greatest civilizations." I also had a chance to dine at the lovely Diwan Restaurant situated inside of the Aga Khan. This elegant restaurant features the food and drink of renowned chef Mark McEwan. 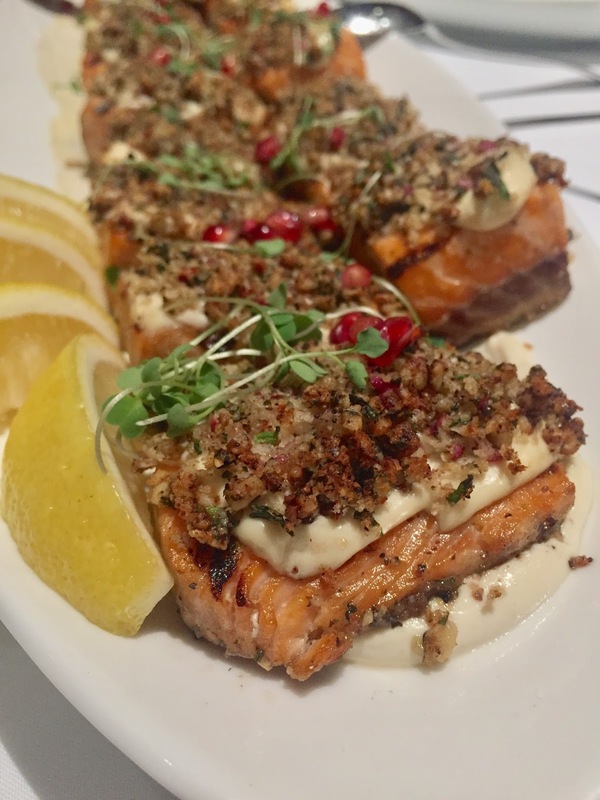 His menu features a wide range lunch menu that showcases his innovative approaches to Middle Eastern, North African, and South Asian cuisine. All of the dishes were very simple but artfully designed and flavoured in a way that leaves you very satisfied but not stuffed. I really enjoyed the tangy notes in a lot of the dishes, something that is very common in Syrian dishes. Diwan is open for lunch Tuesday to Sunday, 11:30 am to 2:30 pm. The Syria: A Living History Exhibition will run until February 26, 2017.